Dr Sheena Gardner is Professor of Applied Linguistics in the School of Humanities at Coventry University. Her research in SFL and educational linguistics focuses on EAP classroom discourse and on the analysis of genres of assessed student writing in the BAWE corpus. Siân Alsop teaches in the Centre for Academic Writing at Coventry University. Her research applies corpus linguistic and data visualisation techniques to the analysis of academic discourse. She has published on the BAWE corpus of student writing and the ELC corpus of Engineering lectures. 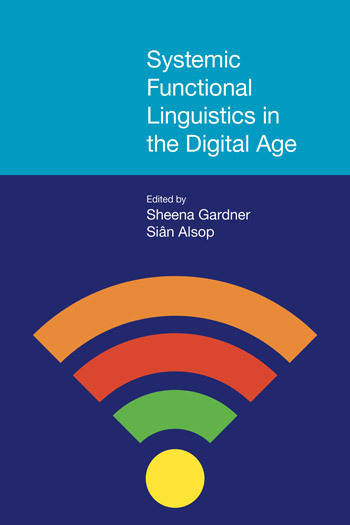 Systemic Functional Linguistics in the Digital Age explores the insights that SFL offers to help us understand and explain the new meanings afforded through digital channels and how they are shaped by and shape their digital contexts. SFL offers a sophisticated architecture for exploring how meanings are construed in context, and this volume focuses on three specific perspectives. Part 1 examines texts that are ‘born digital’ or digitally conceived, such as tweets and blogs. Part 2 focuses on texts that ‘achieve digitality’, or have come to replace or supplement non-digital texts with similar functions, such as an online university lecture or medical consultation. Part 3 examines and interprets texts singly or in corpora using digital tools and allows us to see patterns within and across texts that are generally not visible in single texts. The volume offers contributions from international scholars which both initiate new and sustain current lines of enquiry in SFL research within the unifying context of digitality. Systemic Functional Linguistics in the Digital Age explores the insights that SFL offers to help us understand and explain the new meanings afforded through digital channels and how they are shaped by and shape their digital contexts. SFL offers a sophisticated architecture for exploring how meanings are construed in context, and this volume focuses on three specific perspectives. Part 1 examines texts that are ‘born digital’ or digitally conceived, such as tweets and blogs. Part 2 focuses on texts that ‘achieve digitality’, or have come to replace or supplement non-digital texts with similar functions, such as an online university lecture or medical consultation. Part 3 examines and interprets texts singly or in corpora using digital tools and allows us to see patterns within and across texts that are generally not visible in single texts. The volume offers contributions from international scholars which both initiate new and sustain current lines of enquiry in SFL research within the unifying context of digitality. Maria Grazia Sindoni is Assistant Professor in English Linguistics and Translation at the University of Messina, Italy. She has published in the eld of Systemic Functional Linguistics, multimodality, corpus linguistics, and computer-mediated interaction. 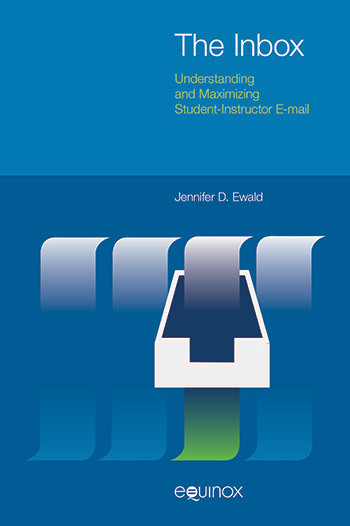 Her latest book is Spoken and Written Dis- course in Online Interactions: A Multimodal Approach (Routledge, 2013). Sandra Petroni is Senior Lecturer at the Department of Humanities of the University of Rome Tor Vergata, Italy, where she teaches on the Languages in the Information Society Degree Course. Her research elds are multimo- dality and specialized discourses, in particular Information and Communi- cation Technology (ICT) discourse. The aim of this study is to verify if persuasive technologies can be treated not simply as semiotic resources but first and foremost as appraisal resources. The premise is that dealing with digitality does not mean attending to more or less simple tools and instrumentalities but with technologies of signification which are created and designed to establish relationships of signification. They participate in meaning making processes such as an online document, a multimodal text, an interface, a blog, a social network profile, or a wiki page. These digital technologies are aimed at a further development of the text and their designers should conceive of them as meaning potential simply because their users perceive of them as meaning actuality. Lésmer Montecino works in the Ponti cia Universidad Católica de Chile, Santiago, Chile. His areas of research are pragmatics and discourse analy- sis. He has recently concluded a three-year research project funded by the Chilean Government. Professor Montecino is currently working on interrelational management and symbolic violence on Chilean radio programmes mediated by YouTube. María Cristina Arancibia works in the Pontificia Universidad Católica de Chile. Her research areas are discourse analysis and the development of comprehension and production skills in second language. She is currently working on an investigation about the representation of anger in websites created to condemn corruption in Chile. In the last ten years, there has been a growing debate over the role that public digital media have had in social change, particularly in the creation of a public digital sphere where issues affecting local political organizations and the functioning of institutions is openly debated by citizens. The aim of this paper is to reflect upon the role of digital citizenry in the construction of the identity of social actors present in the blog comments of online newspapers that debate over cases of corruption dealt with in editorials and opinion columns of Chilean cyber newspapers. In today’s digital era, online communities abound. Technology transcends physical distance and allows the like-minded to congregate and communicate. Dedicated sites are designed for community and executed with a format. This paper addresses another type of online belonging in digital space: that of ‘imagined community’ (Anderson 1991). This paper examines fans’ mourning and acts of remembrance after the death of Steve Jobs in 2011 and looks at how community and identity are constructed in short messages in non-dedicated digital spaces, such as YouTube user comments. Newspapers have been deeply transformed in the process of going online. The transition from printed newspapers to online news sites has affected the entire process of producing, accessing, and perceiving news, accelerating hybridization of the genres involved and raising many issues as regards the activities of representing, construing and experiencing news (Bednarek and Caple 2012). A case in point is the possibility for readers to comment and express opinions on online articles in the comments-on–the-article sections of news sites or via links to social networks (Facebook, Twitter etc.). These possibilities involve readers in news-making activities, empowering them in terms of opinion-making (Cambria 2011). But who are the Participants in those texts? What types of discourses are used in the comments? How do oral and written modes interact (Halliday 1978, 2002) in the comments? A combined systemic functional linguistics and multimodal corpus-assisted approach (Baldry and Thibault 2006) is used to analyse the lexicogrammatical features of texts used in article comments published in two quality newspaper sites (www.guardian.co.uk and www.irishtimes.com) in 2012 vis-à-vis the issue of immigration. Ben Clarke is a Lecturer in English Language and Linguistics at the University of Portsmouth, UK. His research interests include functional descriptions of language and grammar, the relationship between language and semiotic context, and multimodality – particularly the relationship between language and embodied forms of communication. Several studies have reported the diachronically increased use of the present progressive in English over the last century (e.g. Mair & Hundt, 1995; Levin, 2013). Working in a systemic-functional tradition, Clarke (forthcoming) shows that this general trend is true too with a sub-class of verbs which are classified as ‘mental processes’ in the same paradigm’s description of transitivity (Halliday, 1967-8; 1994), verbs which traditionally do not associate with the present progressive (Palmer, 1965: 95-97; Leech, 2004: 25-27). Leech (2004: 26; 29-30) has shown that this construction can be motivated by a desire to mitigate interpersonal pressures (cf. Brown & Levinson, 1987). But Clarke (forthcoming) argues that some instances of its use are semantically motived by a desire to represent events under discussion as emphatically current in the here and now. In this paper, one potential contextual explanation for the trend in question is explored; namely, the advent of twenty-four hour news media, their effect on the production of news and the increased importance of ‘recency’ as a news value (Bell, 1991; Gatlung & Ruge, 1965). Meriel Bloor is an Honorary Fellow of the Centre for Applied Linguistics, University of Warwick, Warwick, UK. Her publications centre on Systemic Functional Linguistics and critical discourse analysis with applications to specialist registers and English for Specific Purposes. She is currently researching the discourse of medical communication. This paper is concerned with the lexicogrammar of death and life, focusing in particular on the language used in online medical information on the prognosis of diseases. In it, I discuss some work on the language of living and dying and raise questions about how social context influences the construal of sensitive human experiences. Helen Drury is Senior Lecturer and former Head of the Learning Centre, Sydney University, New South Wales, Australia. Her research and teaching interests are in the area of academic literacy and learning and her current research involves the application of Systemic Functional Linguistics genre pedagogy to the design of online programmes for academic writing. Our approach to teaching academic writing in science and engineering disciplines at undergraduate level has been informed by a Systemic Functional Linguistics (SFL) theory of language and genre-based literacy pedagogy. We have used this foundation to develop teaching materials and approaches to scaffold student understandings of the genre, discourse and grammar of discipline based writing tasks (Jones 2004). Over a ten year period, these materials and approaches have gradually been ‘redesigned’ (Kress 2000, 2003) into interactive, multimodal, online learning modules, replacing face-to-face pedagogy with digital pedagogy (Drury 2004; Mort and Drury 2012; Drury and Mort 2012). SFL and genre pedagogy can inform the ‘redesign’ of materials and approaches for teaching academic writing online. In addition, research in social semiotics and multimodal meaning making can contribute to the development of a digital pedagogy for academic writing. However, a key question is how students use online resources to create their own learning journey to develop successful discipline based writing, their own ‘personalised curricula’ (Kress 2007). In monitoring these journeys, designer/teachers can further develop effective online curricula for academic writing (Kress 2010). Daniel Lees Fryer is a Lecturer at Østfold University College, Norway, and a PhD candidate at the University of Gothenburg, Sweden. His research interests include academic literacies, medical research discourse, systemic- functional linguistics, and social semiotics. The aim of this paper is to examine the online recontextualization (Bernstein 1996) of a digital figure, first published as part of a research article in both the paper and online editions of the New England Journal of Medicine (Bernard et al. 2001). In its original digital environment, the figure, like others in the journal, is not only part of a composite text; it is also a discrete text in its own right, one that can be searched, downloaded, read, and redistributed in various formats (e.g. JPG, PPT). Mersini Karagevrekis works as an English for Academic/Specific Purposes teacher at the University of Macedonia, Greece. Her research interests include distance learning and continuing education through the use of modern technologies, multimodal and multimedial analysis of texts within a social semiotic metafunctional framework and stylistics. Modern economic texts in a dynamic (electronic) form, unlike their static printed counterparts, unfold in time. This means that they involve a greater majority of semiotic resources (visual, linguistic, actional, etc.) in making meaning in specific social contexts than static texts. They are also more complex in structure as they consist of different phases (textual sequencing units consistent in the co-patterning of different resources) along with points of transition (i.e. realignments in the grouping of diverse resources) between the phases (Gregory in Baldry and Thibault 2006: 47). Such complex multimodal texts can be best analysed within a social semiotic metafunctional framework that combines Halliday’s (1994) metafunctional theory and Bakhtin’s (1986) views on genre with Gregory’s notion of textual phase and transition (in Baldry and Thibault 2006: 47). The same framework is employed for the analysis of a few excerpts from an online university lecture on economic theories in EAP/ESP (English for Academic Purposes/English for Specific Purposes) in this paper. The analysis is in the form of questions that can help students relate general theory to specific data. The aim of the paper is to foster students’ multimodal literacy (“Multiliteracies” in the New London Group terminology 2000) and help them realize that it is the synergy among diverse semiotic modalities that contributes to the overall text meaning. The analysis also enhances understanding of the typical ways resources combine in a particular genre in the specialist field of their studies. Blanca García Riaza is Lecturer at the Department of English Studies and teaches English for educational, touristic and engineering purposes at the Escuela de Educación y Turismo, Ávila Campus, University of Salamanca, Spain. Her publications include articles on mobile devices as pedagogical tools and science popularization articles analysed within the Systemic Functional framework. Nowadays, newspapers can no longer be considered as a paper-based media, but as digital sources of information for a general readership that surfs the Net. Digital editions of newspapers have achieved a spreading level far beyond printed editions, expanding their specialized sections to include new areas of knowledge, such as the case of science popularization articles, that disseminate scientific findings (Giannoni 2008: 212) and make scientific discourse and newspaper discourse merge in a new type of text that represents linguistic experiences (Halliday and Mathiessen, 2004: 441). These linguistic experiences are shaped through language events’ reports (Thompson, 1996: 501), a resource for journalists to include different voices in the story (Martin and Rose, 2003: 23). Science popularizations have notably increased their presence in national daily newspapers across Europe in the last few years (Hyland 2010:118), such as ‘The Guardian’, ‘El País’, ‘La Repubblica’, and ‘Der Spiegel’. Perhaps the most outstanding quality of online texts is their network character, which is established through the linking of text or other modalities within a website and outside this website to other webs. It is this particular feature – this linking “in some way other than by the default sequential convention of ordinary reading” (Lemke 2002: 300) – that has shaped such texts as non-linear constructs and has created the metaphor of the internet as a three-dimensional web. While typical internet texts may still have a fairly clear beginning in the top left corner of the homepage of a website, they can neither be read along a pre-composed reading path, nor do they have a distinct end. Quite on the contrary, they are not even designed to be read as a whole and in a particular order but are composed as databases and networks containing much more information than necessary. Recent trends discernible in hotel websites, however, seem to reflect a turning point in this design strategy which results in a return in text composition to a traditional, more linear structure. This claim shall here be substantiated with the analyses of two different versions of two hotel websites: of Hotel Sacher in Vienna and The Sheraton in Salt Lake City, and of their corresponding representations on the hotel reservation platform booking.com. ‘the MukaÅ™ovský-Jakobson theory”, in Gouveia & Alexandre (eds), Languages, Metalanguages, Modalities, Cultures: Functional and socio-discoursive perspectives, Lisbon, and her 2015 essay “Jakobson’s Place in Hasan’s Social Semiotic Stylistics: ‘Pervasive Parallelism’ as Symbolic Articulation of Theme”, in Bowcher & Liang, Society in Language, Language in Society. Essays in Honour of Ruqaiya Hasan, Palgrave Macmillan. Premising that her corpus-assisted research has been profitable, but not invariably and/or consistently and/or unequivocally, the paper opens with a discussion of the factors upon which valuable quantitative meaning analysis may depend, and the connection between SFL and CL. The main part of the paper deliberates the case for corpus-assisted appraisal studies in the face of snares including The ‘Russian Doll’ (Thompson 2014) and ‘Piecemeal Puzzle’ syndromes. The issues are illustrated with instances from corpus-assisted appraisal studies in US congressional speech and from a literature text: Shakespeare’s ‘Coriolanus’, where the functional role played by language patterns in construing a ‘special’ kind of social meaning exchange (Hasan 1989/1985) sets the hurdles even higher. Paul Bayley is Professor of English Language and Linguistics at the Department of Political and Social Sciences of the University of Bologna. He is head of teaching and learning activities at the Bologna University Language Centre. He is co-editor of European Identity: What the Media Say (with Geoffrey Williams, OUP, 2012) and Corpus-assisted Discourse Studies on the Iraq Conflict (with John Morley, Routledge, 2009). Cinzia Bevitori is Senior Lecturer and Researcher of English Language and Linguistics at the Department of Social and Political Sciences at Bologna University at Forlì. Her research interests are in the field of corpus-assisted discourse analysis within the framework of SFL, focusing in particular on political and media discourse. This paper, based on the analysis of 226 speeches by American Presidents over a period of 224 years, aims at exploring what can and cannot be achieved by combining CL methods and procedures with the analysis of texts and discourse within the theoretical framework of SFL, focussing particularly on some aspects of the interpersonal metafunction (Halliday and Matthiesen 2004, Martin and White 2005). Moving beyond textual ‘aboutness’ (Bayley and Bevitori 2011), it is argued that certain kinds of lexicogrammatical patterns can be detected through the analysis of a non-annotated corpus. Moreover, with particular reference to our case-study, it is also claimed that shifts in these patterns indicate diachronic change in the rhetorical thrust of State of the Union addresses, from an ‘informative’ style, i.e. presenting a report, to a more ‘persuasive’ one, i.e. soliciting action. Sabrina Fusari is Researcher of English Linguistics at the Department of Modern Languages, Literatures and Cultures of the University of Bologna, Italy. Her research in Systemic Functional Linguistics focuses on the use of electronic language corpora for the analysis of institutional and news registers, with particular focus on patterns of Transitivity. Although raw text corpora have been felt to be “inadequate for many of the questions Systemic Functional Linguistics asks” (Honnibal 2004: 7), annotation also creates problems, not only for its costs in terms of time and money (Wu 2009: 142), but also due to technical and philosophical issues. This paper will look at issues surrounding automatic versus manual annotation, and whether SFL corpus annotation is worthwhile. The results of a test on two taggers (UAM Corpus Tool and Halliday Center Tagger) will then be discussed. Linguistics Conference and the 2015 International Systemic Functional Conference: cf. the 2014 paper “Social Semiotic Stylistics and the corpus: How do-able is an automated analysis of verbal art?”, in Duguid, Marchi, Partington and Taylor (eds), Gentle Obsessions. Literature, Linguistics and Learning. In Honour of John Morley, Rome: Artemide. The most recent advance in Miller and Luporini’s research on Hasan’s work concerns SSS as appliable linguistics in the ESL classroom at University level. This paper will examine the extent to which a corpus can assist the researcher. Preliminary considerations include types of metaphor, and their relation to the corpus: lexical and grammatical metaphor; metaphor and (versus?) corpus. A case study is presented: GMs for the global crisis in The Financial Times and Il Sole 24 Ore 2008. Materials and methods are outlined, and the question of negotiating volume/richness is discussed. ‘Method of development’ is a term introduced into Systemic Functional Linguistics by Peter Fries (1981/83, 1992, 1994) to describe the roles played by the Themes and Rhemes of clauses in the logogenetic development of information in discourse. The language of Themes is predicted to be rich in markers of topical continuity, for example, presuming reference items, and also rich in markers of discoursal variation, for example, conjunctive Adjuncts. Rhemes are predicted to be rich in lexical variation, serving the development of successive points in the discourse. This theory has had both supporters, particularly in its development by Jim Martin in English Text (1992: 434-448) and Christian Matthiessen in Lexicogrammatical Cartography (1995: 575-590) – and some detractors. The purpose of this paper is to test the theory by tabulating the distribution of continuity and variation markers within the clauses of various text types in a large corpus: the British Component of the International Corpus of English. Comparison of different proportions of continuity and variation markers in Themes and Rhemes through a whole spectrum of text types will permit the identification of some texts which are really contrastive in their respective methods of development. Tom Morton is Honorary Research Fellow in the Department of Applied Linguistics and Communication at Birkbeck, University of London, UK. His research interests include the application of Systemic Functional Linguistics to second language acquisition, pedagogy and classroom discourse, particularly in Content and Language Integrated Learning (CLIL) contexts. Anne McCabe is a faculty member of the English Department at Saint Louis University, Madrid Campus, Spain, where she teaches linguistics, ESL and writing pedagogy to undergraduate and graduate students. She has published widely on application of Systemic Functional Linguistics to analysis of educational and media texts including An Introduction to Linguistics and Language Studies (Equinox). In the first part of this paper, we present results of a longitudinal corpus study of secondary school students’ use of evaluative language in a Bilingual Education Programme in Spain. This is part of a larger project which uses Systemic Functional Linguistics to examine students’ language production in this educational context (UAM CLIL Project). In this phase of the project, we used Appraisal Theory (Martin and White 2005) with UAM CorpusTool (O’Donnell 2013), to analyse the realization of evaluative language in the spoken and written texts of students studying History through English, as they moved through the four years of compulsory secondary education. In the second part of the paper, we shift the focus to methodological aspects of the study, by asking what is gained and lost as students’ texts become decontextualised or rather “entextualised” (Bauman and Briggs 1990) through a process of digitalization. We chart the journey of one student’s spoken and written texts as they have “digitality thrust upon them” by being pulled out of their original contexts, to become, among other things, sets of numbers. We argue that the concept of ‘entextualisation’ is an effective tool for allowing researchers to adopt a more reflexive stance towards their own activity. Katrin Menzel is a teaching and research staff member at the Department of Applied Linguistics, Translation and Interpreting at Saarland University, Germany. Her research in contrastive linguistics and translation studies focuses on text linguistics and cohesion. The purpose of this paper is the conceptualisation and cross-linguistic comparison of ellipsis when it is used as a cohesive device. This study is part of a larger DFG-funded research project on German-English contrasts in cohesion (GECCo) [note 1]. The bilingual GECCo corpus is a useful source of data to observe ellipsis patterns across written and spoken registers in order to generate and test various linguistic hypotheses. Bearing in mind the need for careful definition of ellipsis, it is argued here that a combination of a qualitative and quantitative approach will lead to insights that would otherwise be missed. Ellipsis can often be used in an unexpected way for various reasons (language economy, stylistic experimentation, ambiguity of meaning, e.g. in speeches, advertisements or fictional texts). Corpus methods allow us to study ellipses as they occur in real language use. Ekaterina Shagalov holds a PhD degree from Bar-Ilan University. In her doctoral study, she used computational means to distinguish mania and schizophrenia on the basis of linguistic characteristics that coincide with clinical descriptions of the disorders. She works as a linguist in Dixilang Company which has developed speech recognition technology. Jonathan Fine, who died in September 2015, taught in the department of English at Bar-Ilan University. He published studies on the language of psychiatric syndromes including pervasive developmental disorders, schizophrenia, and attention-deficit-hyperactivity disorder. His other research includes discourse analysis, systemic functional theory, first and second language acquisition and genre. He edited or authored five books on language in use including Language in Psychiatry: A Handbook of Clinical Practice (Equinox). The clinical interview is commonly used in psychiatry for diagnosis, though it is time-consuming, needs special training, and multiple sources of information. Recently computerized analysis of speech offers objective means for evaluating symptoms in schizophrenia. Cohen writes: “Accurate measurement of negative symptoms is crucial for understanding and treating schizophrenia. However, current measurement strategies are reliant on subjective symptom rating scales, which often have psychometric and practical limitations. Computerized analysis of patients’ speech offers a sophisticated and objective means of evaluating negative symptoms” (2007: 827). Specific to schizophrenia, machine learning techniques have been used in the study of patients’ writings (Strous et al. 2008). With large within group differences, there is no one language characteristic that distinguishes speakers with schizophrenia and mania. However, this study has found that combinations of features and possible correlations among the features separated the diagnostic groups, characterizing the disorders. Transcripts of subjects with schizophrenia (six transcripts) and mania (four transcripts) were digitalized to compose two sub-corpora. The texts were annotated and analyzed (UAM Corpus Tool, O’Donnell 2008) for syntactic complexity, amount of talk, dysfluencies, type-token ratio, lexical similarity, and word frequency among other variables. Offers a selection of state-of-the-art SFL studies. Complementary approaches, which integrate qualitative analysis with corpus linguistics, are presented as the driving force for change in SFL research. In general, the chapters are well organized, with a clear introduction to provide a contextual and theoretical backgrounds, a description of the method and data to be analysed, an account of the analysis and detailed discussion of the results. This volume is a timely publication that showcases how SFL can be applied to study new genres that have emerged in digital contexts, how qualitative interpretation of quantitative information may be usefully informed by SFL, and how SFL and corpus research can benefit from each other. As such, it is highly recommended.